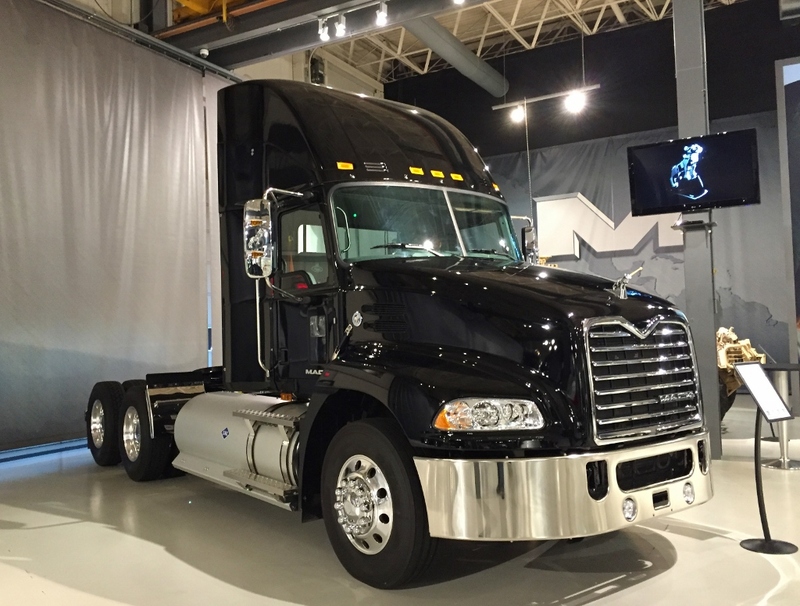 If you saw my exhaustive coverage of the Mack Trucks Customer Center from the 2015 Trucktoberfest event you know this is place you must visit if you are even remotely interested in trucks. 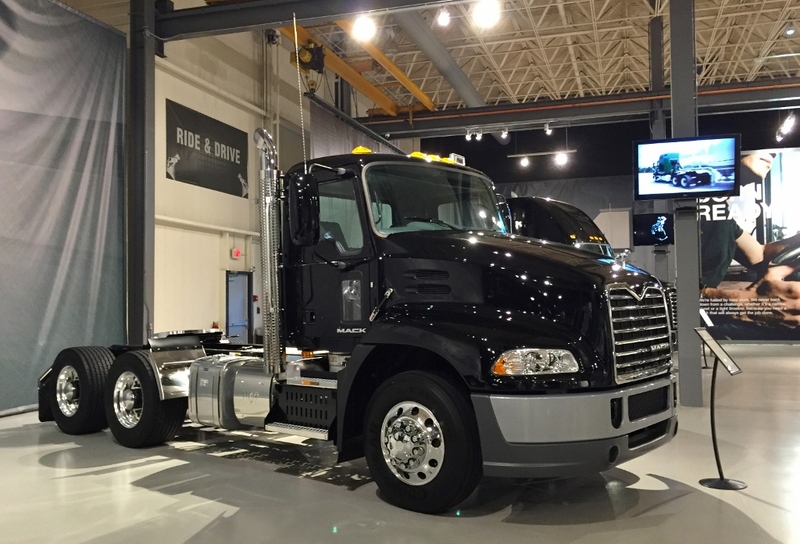 While homebase for the official Mack Truck museum the Customer Center is also hosts the latest and greatest trucks of the of modern lineup. Dave recently stopped by for a quick visit and took some shots of the trucks on display in the showroom. This TerraPro is the latest iteration in the long of Mack low entry cab forward refuse trucks. Powered by the Mack MP line of engines these trucks continue to keep the tradition of using nearly all Mack powertrain and suspension components through the inclusion of M-Drive automated manual transmissions. 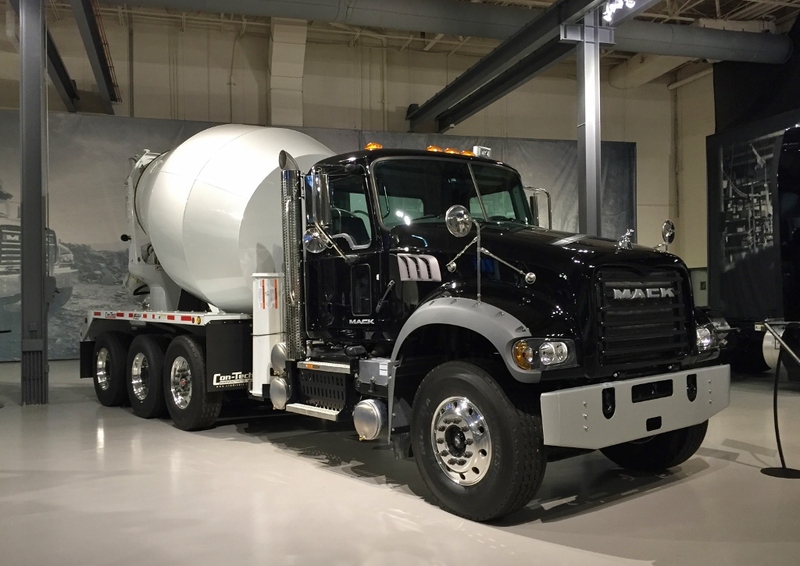 Other trucks on display included a Mack Granite with Con Tech mixer and a CNG powered Mack Pinnacle. Thanks again for the share Dave! 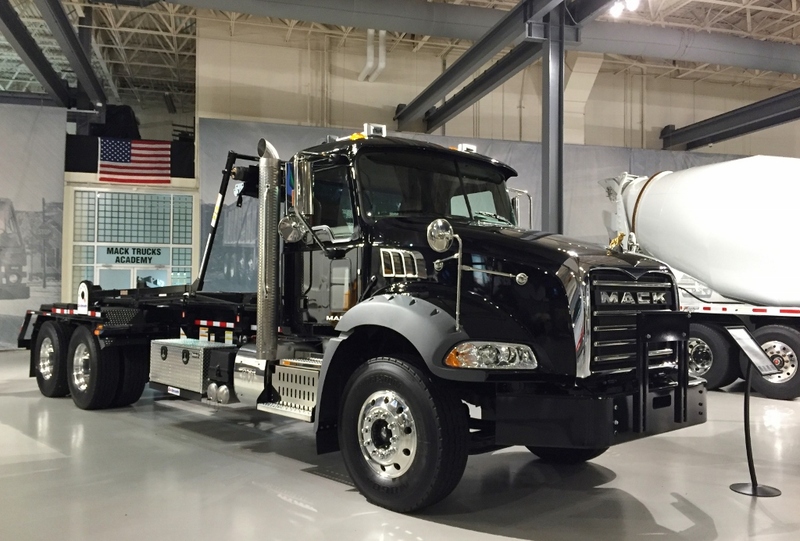 This entry was posted in At the Dealer and tagged mack customer center, mack granite, mackt terrapro. Bookmark the permalink.